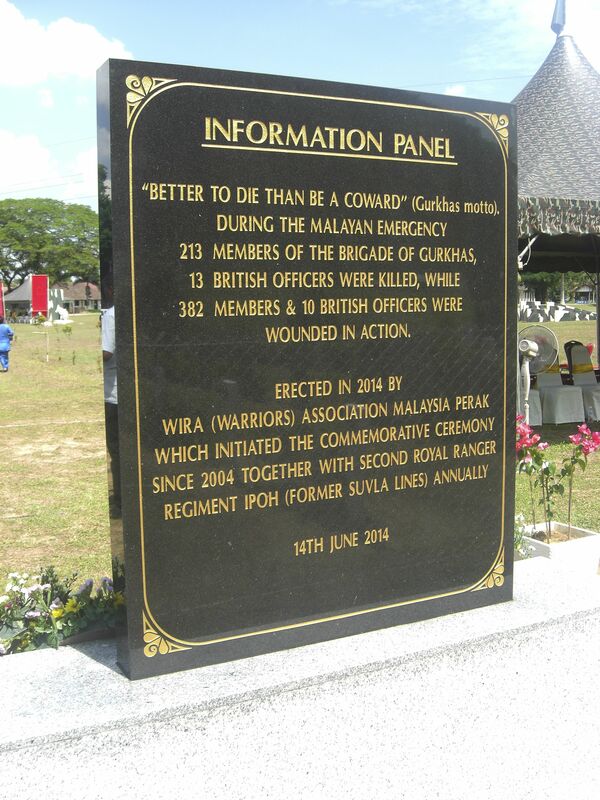 Each year in June the Warriors Association (WIRA) of Malaysia hold a series of events to commemorate the sacrifices made during the Malayan Emergency, especially at Ipoh. 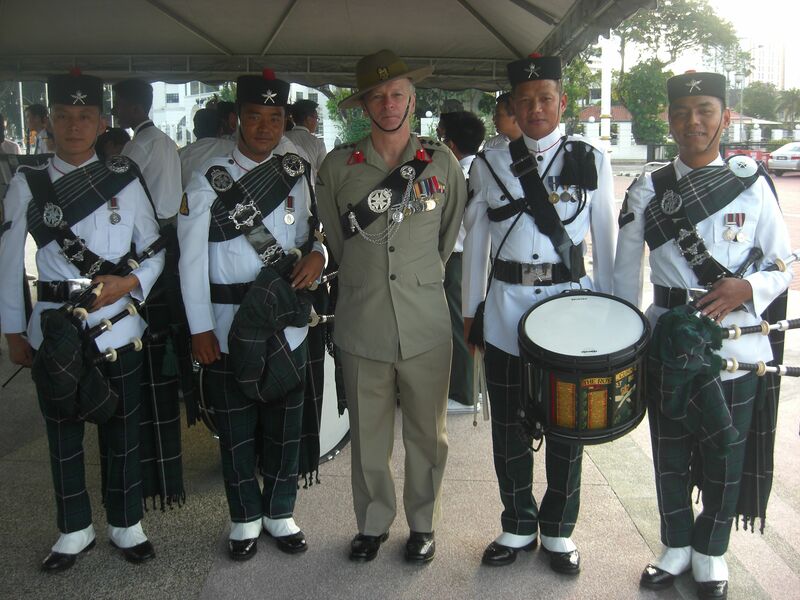 This year the events were held from 9-11 June and veterans and British High Commission staff were joined for the first time ever by Colonel Brigade of Gurkhas, Col James Robinson. 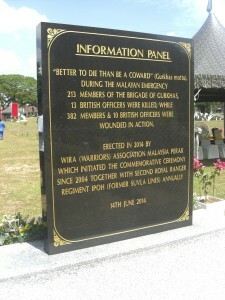 The Malayan Emergency saw over 10,000 Gurkhas active on operations over the period 1948 to 1960. 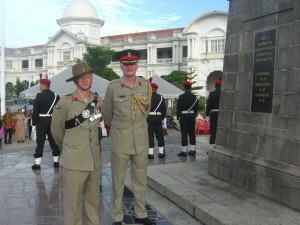 It also saw the birth of our current corps units: Queen’s Gurkha Signals, Gurkha Transport Regiment (now Queen’s Own Gurkha Logistic Regiment) and Queen’s Gurkha Engineers. 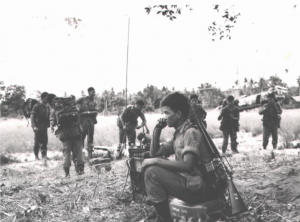 Additionally, other units were raised for the Emergency; a Gurkha Military Police Unit, a Gurkha Dog Company, and the Gurkha Parachute company. 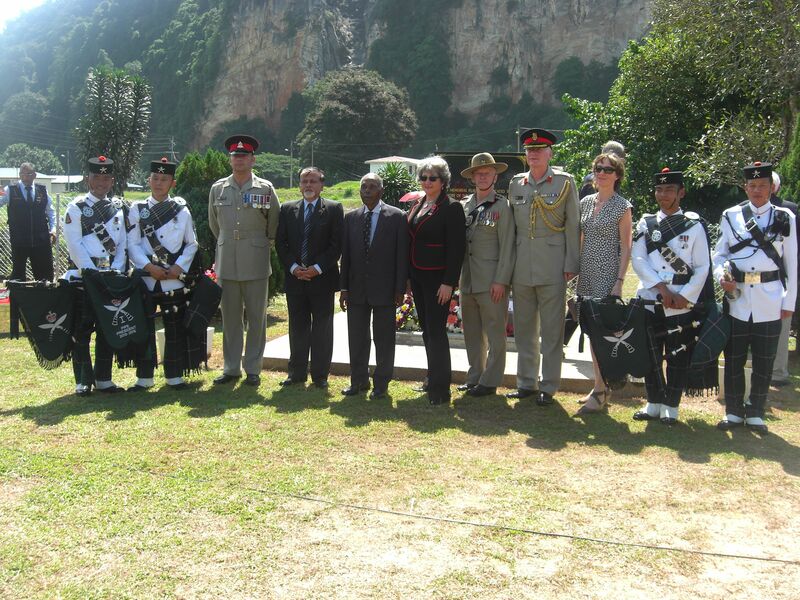 Joined by the British High Commissioner, Vicki Treadell CMG MVO, and the British Defence Attaché, Col Stephen Hall and his wife, Sue, Col BG travelled to Ipoh. 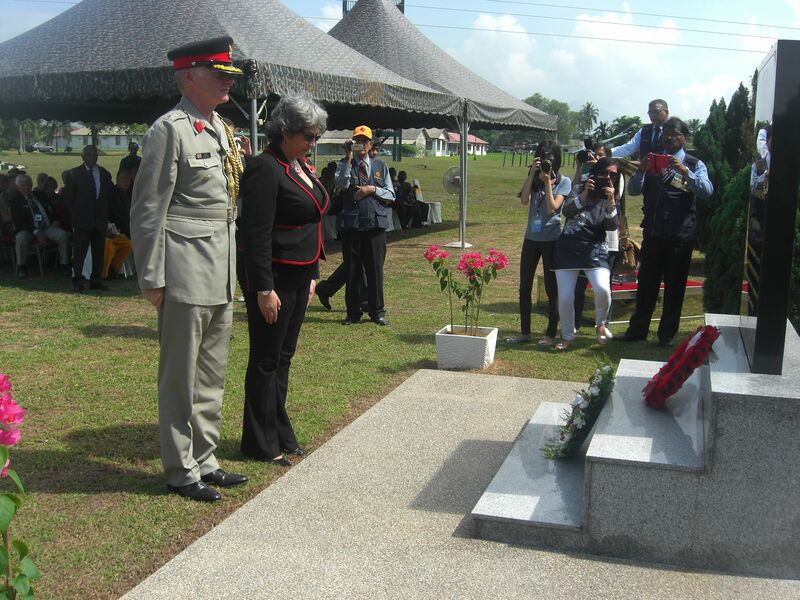 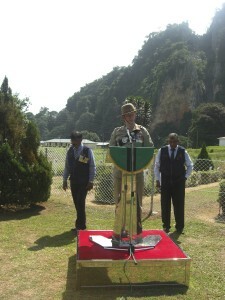 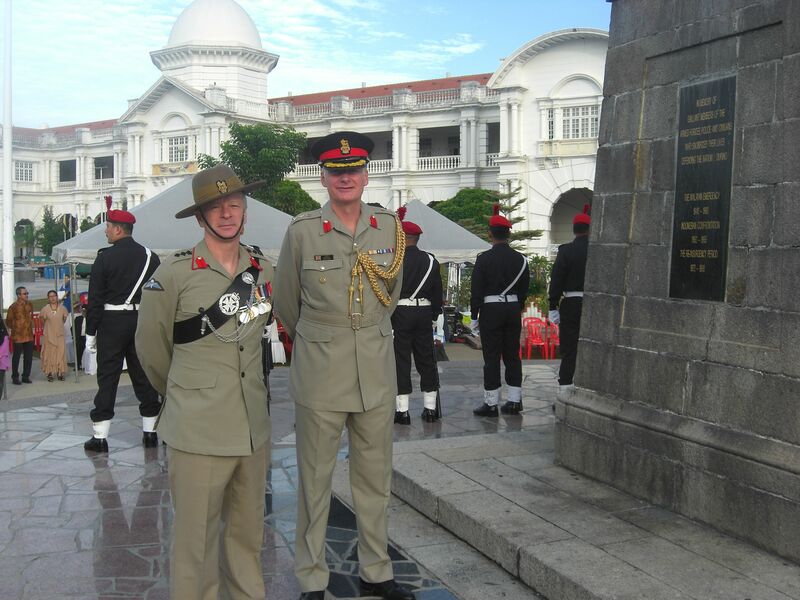 The Australian and New Zealand Defence Attaches were also present along with the Nepalese Ambassador to Malaysia. 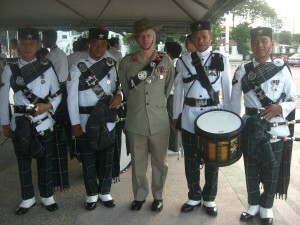 Also joining Col BG were 4 members of the 1RGR Pipes and Drums from Brunei who played at all services and functions. 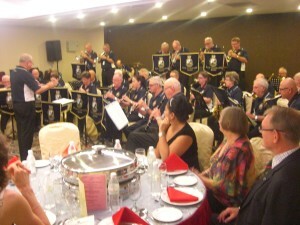 A 50 piece band from the Australian Veteran’s association also travelled from across Australia, along with a number of veterans, and added significantly to the occasion. 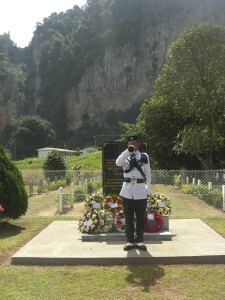 The first morning was a formal multi-cultural service of remembrance outside the magnificent Ipoh Railway station followed by speeches in the Ipoh City Hall. 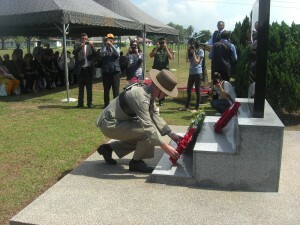 The second day started early with a memorial church service at God’s Little Acre in Batu Gajah. This was in memory of those oil and rubber planters killed during the Emergency and was followed by a wreath laying in the cemetery. 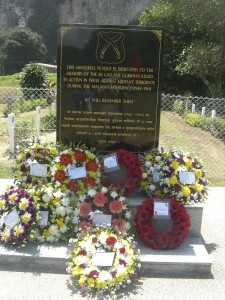 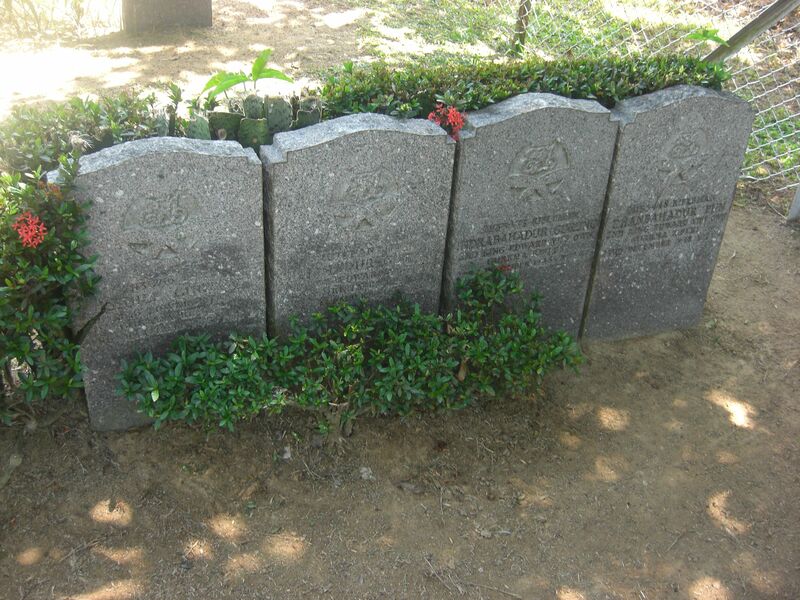 The graves of 4 Gurkhas who were killed during an ambush as they fought side by side. This was followed by a Gurkha Remembrance at Tambuan Road Camp, formerly Suvla Lines, just outside Ipoh and now occupied by the 2nd Royal Ranger Regiment. 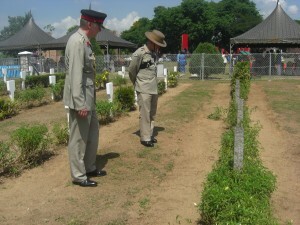 It was here that a memorial plinth had been erected a year ago for which Gurkha Associations, including our own GBA, had made significant financial contributions. Wreaths were laid, Last Post played, the Nepalese Ambassador to Nepal spoke and Col BG gave a Closing Address reminding the audience of the Gurkhas’ contributions and successes as well as reminding them of the history of the Brigade of Gurkhas and the importance of remembrance. 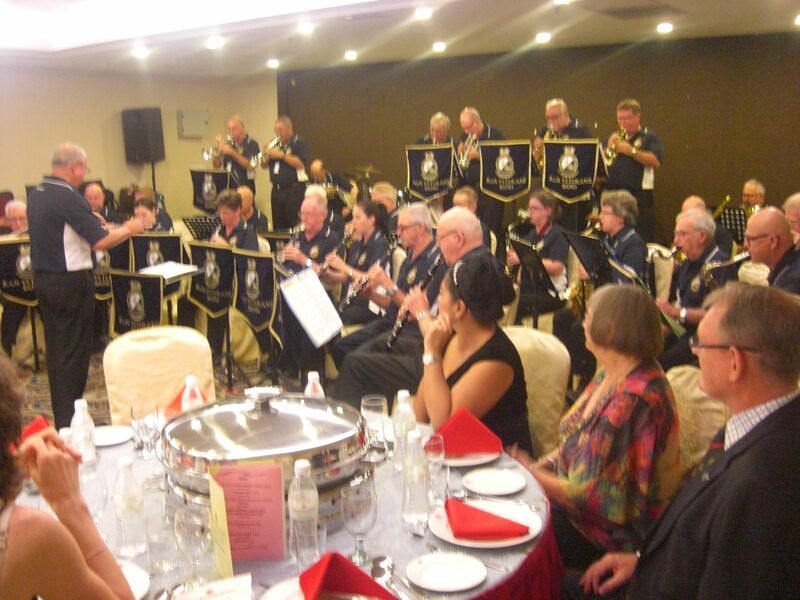 All then adjourned to the Royal Ipoh Club for lunch. In the evening, another ‘Troops Night’ function took place at a hotel in Ipoh and the 1RGR Pipes and Drums stole the evening. 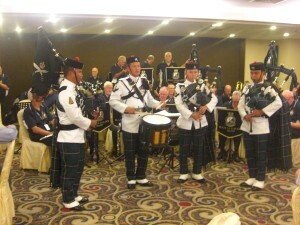 Some other good press coverage of the event can be found here.